Bermaz Motor Sdn Bhd ("Bermaz"), a wholly-owned subsidiary of Bermaz Auto Berhad, commenced operations on 1 April 2008 after Bermaz and Mazda Motor Corporation ("Mazda Japan") entered into an Agreement (“Distribution Agreement”) on 28 February 2008 in which Mazda Japan awarded Bermaz the distributorship of specific models of Mazda CBU vehicles, spare parts, accessories and tools in Malaysia. This initial Distribution Agreement was subsequently extended for a further 3 years expiring on 31 March 2014. Mazda Japan has agreed to further extend the Distribution Agreement for another 5 years to 31 March 2019, subject to an annual minimum purchase quota of Mazda CBU vehicles to be mutually agreed upon. Vehicles are distributed through our own branches and third party dealers in Malaysia as well as through third party dealers in The Philippines. As at 31 October 2013, we have established 4 branches in Malaysia (all of which have sales, after-sales service and spare parts capability) and we have also appointed 68 dealers nationwide. 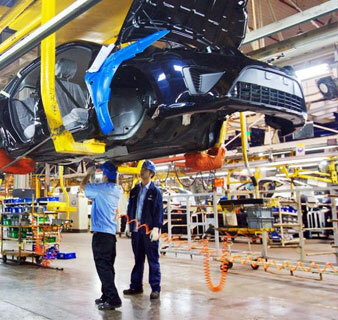 Other than the Mazda CKD (Completely Knocked-down) vehicles which are locally assembled, all the other Mazda models distributed in Malaysia are CBU (Completely Built-up) units which are imported from Mazda Japan's manufacturing plants located in Japan and Thailand. All Mazda models distributed in the Philippines are CBU units imported by Berjaya Auto Philippines Inc, a 60% owned subsidiary of Berjaya Motor International Limited, which in turn is a wholly-owned subsidiary of Bermaz Motor Sdn Bhd. 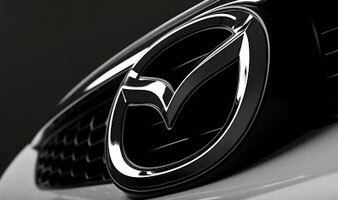 Please visit www.mazda.com.my for more information on our products and services.